The Murray Bridge Rowing Club recently hosted its biggest regatta in many years. More than 980 athletes entered events over two days of racing and estimates suggest crowds of 2500 spectators and supporters enjoyed the spectacle from the river bank. 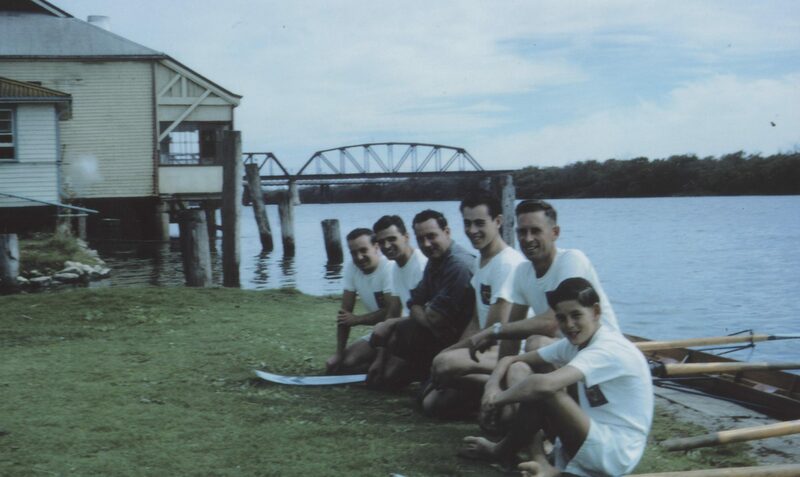 Traditionally Murray Bridge has been a popular event on the Rowing SA calendar. Schools and clubs from all over the State visit Murray Bridge to row on the two-kilometre river course. The 4km/hr knot zone gives rowers the only other straight 2km course outside of West Lakes. With a huge Saturday racing program results came quickly for rowers. The feature race of the weekend, the 3 Mile 8 Race, saw 15 crews race from Swanport Bridge to the Rail Bridge. The Port Adelaide masters ladies were victorious winning The Ted Higgs Cup. The cup was awarded to the winning crew by Phil Nolan, grandson of Ted who was the coach of the original Cods. With 54 entries over five races the third grade Women’s Single Scull was hotly contended. The Masters Mixed Coxed Quad of Bob Bailey, Des Schultz, Clyde Leach and Bob Watkins with coxswain Bernadette O’Neil came a respectable 3rd. The crew of Georgia, Chloe and Lily Weckert, Paris Holland-Long and Mia Lewis in the Schoolgirl 9/10 Coxed Quad finished 3rd. Masters crew of Maddie McGinty, Chris Cowan, Nick McDonald, and Bernadette O’Neil competed strongly in the Masters Mixed Coxed Quad. The 2nd Grade Men's Double Scull of Charlie Seidel and Hayden Teunissen finished 2nd to Phoenix. Georgia and Chloe Weckert, Paris Holland-Long, Alana Kahl, Georgia Fulton, Carley Roesler and Mia Lewis all finished midfield in their single scull races with Bernadette O’Neil finishing with a personal best time. Victoria and Tallulah Seidel, came 2nd to the Torrens crew with a narrow margin of 0.56 seconds in the 2nd Grade Women's Double Scull. Teunissen finished 3rd in the 2nd Grade Men’s Single, while Jayden Thomson came 1st and Charlie Seidel 3rd. In the 2nd Grade Women’s Single Scull Tallulah Seidel placed 1st and sister, Victoria Seidel, 3rd. Celia Cowan won the First Grade Women's Single Scull. In the Masters Men’s Double, McDonald and Cowan came 3rd. 3rd Grade Women’s Coxed Four of McGinty, Fulton, Kahl, Roesler and coxswain Kane Christian finished 3rd. The Weckert sisters, Georgia, Chloe and Lilly, and Paris Holland-Long and Mia Lewis won the Schoolgirl 9/10 Coxed Quad. 3rd Grade Mens Coxed Quad was Gazzola, O’Brien, Seidel, Teunissen and Christian finished 2nd. The 3rd Grade Women’s Quad saw Cowan, Roesler, Holland-Long, Lewis and Lilly Weckert finish in 1st place. The 3rd Grade Men's races saw McDonald and Cowan finish 2nd, Obrien and Gazzola finish 4th. Roesler and Holland-Long won the 3rd Grade Women’s Double and Weckert and Lewis finished 3rd in the same event. Club president Craig Christian said the Murray Bridge Rowing Club is the strongest it has been in years. “With the development of our the boatshed on Sturt Reserve, the release in April of The Cods documentary and the club’s 10th Olympian, James McRae in line for his third Olympic Games, we are in a great position and its exciting times indeed,” he said. The Following Article was originally published the Murray Valley Standard on June 25th, 2015 at 6.30am. To read original article, follow the link at the bottom of this page. To Craig Christian, the “rowing city of Murray Bridge” has a certain ring to it. The Murray Bridge Rowing Club, of which he is president, has revealed its plans for a new, six-bay boat shed at Sturt Reserve - the centrepiece of a plan to return the sport to a prominent place in the city’s culture. 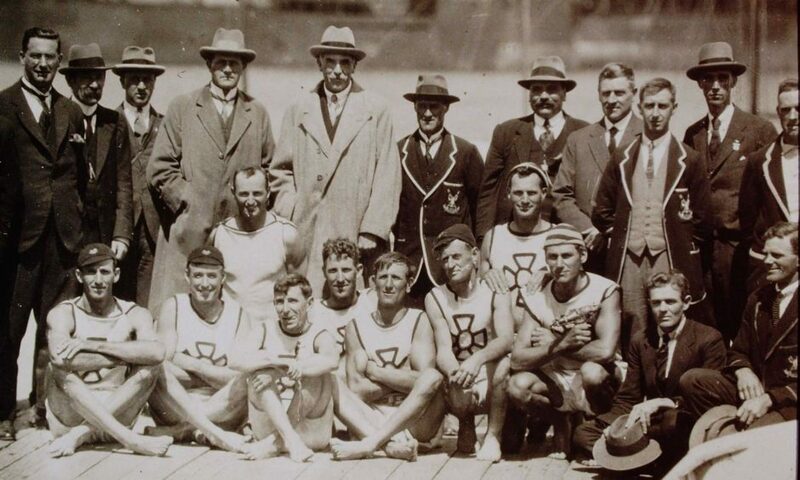 The facility would include a bar and race control tower, as well as display space for memorabilia of the Murray Cods - the working-class eight who represented Australia at the 1924 Olympic Games - and other items from the club’s 106-year history. Four of the shed’s six bays would be sub-let to tenants such as schools, who currently pay Rowing SA up to $10,000 per year for the use of sheds at West Lakes. The rowing club also hoped to help with an upgrade of the ageing public toilet facility next door. The Murray Bridge council last week granted the rowing club a lease over a portion of Sturt Reserve beside the Murray Bridge Community Club, in front of the lawn tennis courts, contingent on a public consultation process. Its rent will gradually increase as it settles over the next five years. Mr Christian said the club had spent as long as 15 years looking for a new site before finally settling on one only a few metres away, but that the wait would be worth it. The idea was originally part of a joint proposal between the rowing club and Murray Bridge Community Club. A similar lease won approval from the council and from all 14 people who submitted comments during consultation in 2012, which lapsed because construction did not start within two years. Community Club president Martyn Codrington said that building’s redevelopment remained on hold, but two years remained on the club’s current lease.